Llama Llama Red Pajama by Anna Dewdney has become my one-year-old's all time favorite book. He'll dig around his room until he finds it and then will sit in the closest lap and demand to hear it. Over and over. I think his favorite celebrity sighting of 2012 was when he met Mr. Pajama himself at the Boston Book Festival. 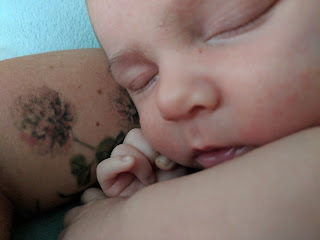 He also met Anna Dewdney (the author) too but that was less exciting for some reason. 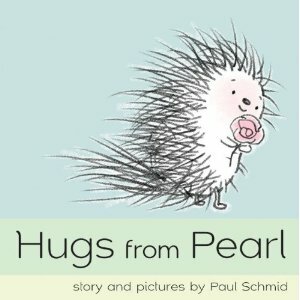 This book is good for bedtime because a) it rhymes, b) it has a nice rhythm, and c) it is actually ABOUT bedtime, and ends with the main character going to bed. 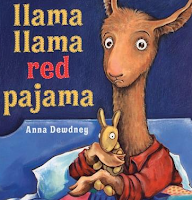 The author told us at the book reading that the llama's doll llama is named "the dolly llama." Ha! 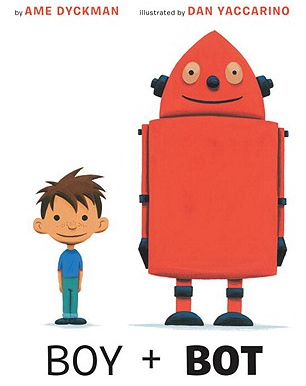 Boy + Bot by Ame Dyckman and illustrated by Dan Yaccarino is one of my husband's favorite books to read to our son at bedtime, mostly because you get to use a robot voice for half of the book. In this book the boy and his robot friend take turns malfunctioning and taking care of each other. It's very sweet. We're always on the lookout for good bedtime books...What are some of your favorites?